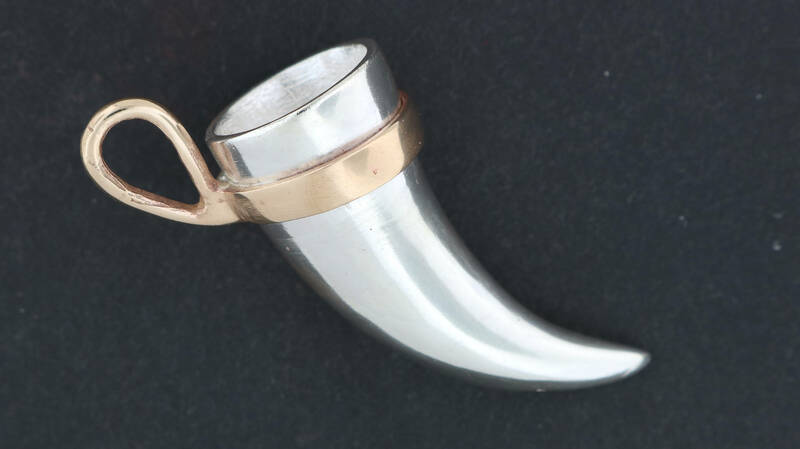 This handmade drinking horn pendant is made in sterling silver with an antique bronze horn belt loop that acts as a bail for a chain. 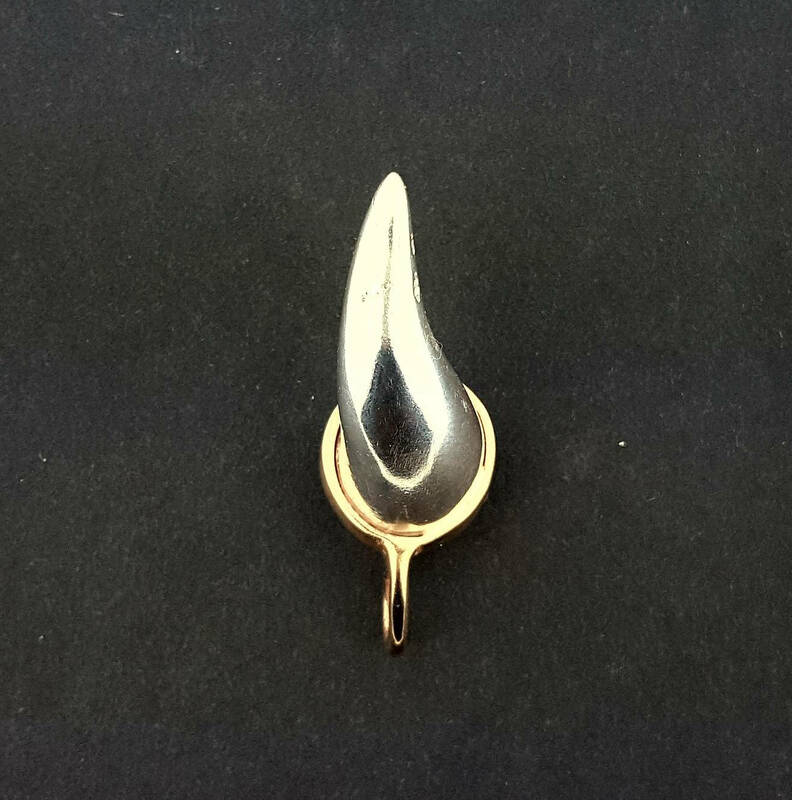 The pendant measures 1cm wide and 3.5cm long from horn tip to the lip. The belt loop is 5mm wide. And the inside is empty and can hold a 1/2 oz of liquid! Shipping is with tracking and insurance. 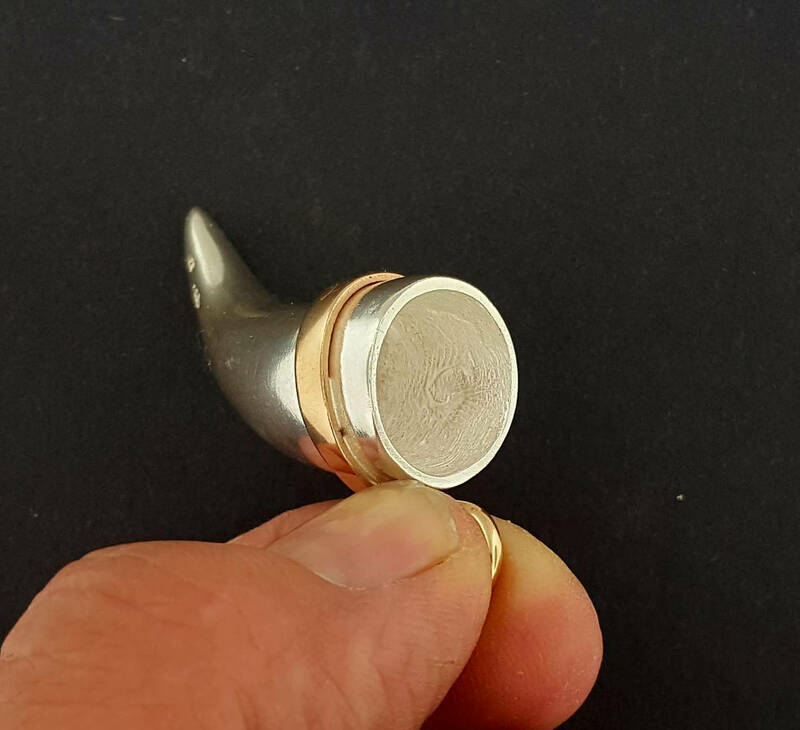 The creation of this piece was inspired by a friend who was saying she never could find a drinking horn pendant. As I was at a medieval fair and part of the fair was an education day where I was to demonstrate my wax carving techniques. So challenge accepted! Took the weekend to carve it from a block of wax, but here you go! Hope folks will like it!